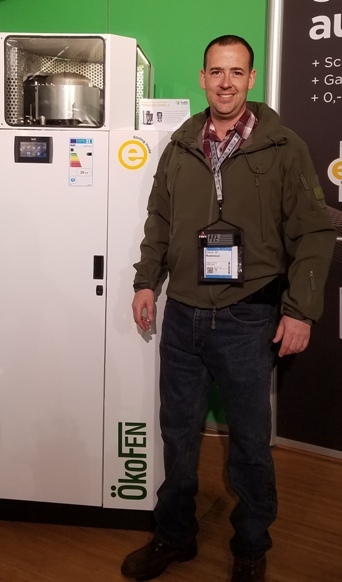 Updated on Jan. 15, 2019 - Glenn Robinson has been selling and installing pellet, wood and coal stoves in Pennsylvania for 11 years, and one of the biggest problems he faces is sizing the stove. “I became tired of false information from manufacturers about how many BTUs they claimed their stoves put out” he said in a recent interview. “Customers see these exaggerated BTU numbers from a small stove and think it will heat their home, but it won’t. The result is that the stove is undersized and there is premature wear and tear. One model from a big name brand would only last for 3 – 4 months before needing repair or even full replacement,” he said. Glenn is not alone in identifying exaggerated BTU listings as one of the biggest problems consumers face in buying a stove. Scott Williamson, a Massachusetts pellet installation and repair technician says that he sees stoves “all the time that are being run on high 24/7 and pellet stoves just aren’t designed to do that.” Both installers say that under sizing of pellet stoves is one of the biggest problems, and urge customers to consider larger (higher BTU output) stoves if they live in average size homes in the northern half of the country and plan to use the stove a lot. 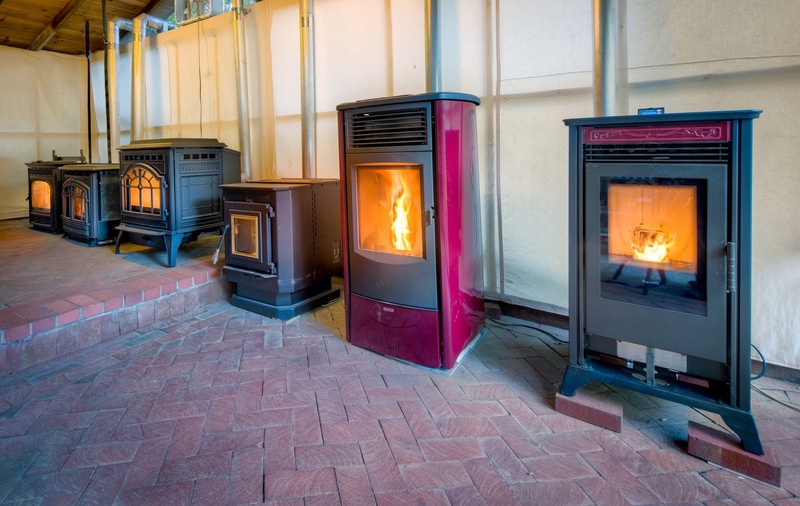 AGH tested six popular pellet stoves. live up to some manufacturer claims. Pellet stoves can be a very effective and affordable way to provide primary or secondary heat for your home without the smoke that wood stoves often create in the hands of the typical user. Wood stoves require lots of work on the fuel side of the equation, but pellet stoves involve more work on the appliance side of the equation. The Alliance for Green Heat also monitors advertising of pellet stoves and has found over the years that the great majority of companies vastly overrate the amount of heat their stoves put out. The EPA list of certified wood and pellet stoves is not perfect but it remains the best source of BTU output for consumers. Most EPA-certified pellet stoves are listed as producing a maximum of 25,000 – 40,000 Btu and minimum of 7,000 – 13,000 Btu. The average pellet stove on the EPA list, according to data provided by third party test labs, put out a maximum of approximately 31,800 Btu and a minimum of approximately 10,050 Btu. The stove with the lowest maximum Btu is the Thelin Gnome pellet stove that puts out up to 9,000 Btus. However the company advertises three times that - 27,000 Btus - without any explanation. Manufacturers usually exaggerate Btu, thinking that it will make their stoves more attractive, but in the case of the Thelin Gnome, there are people looking for stoves to heat very small places and the exaggerated Btu output may make them think even the Gnome is too big. 1. 1. Don’t undersize. If the stove is going to be your primary heat source you will likely need a medium or large pellet stove, even if a smaller unit advertises high BTU output. Ignore BTU numbers on manufacturers websites and literature and check the EPA list. The maximum output for pellet stoves is in the 30,000 – 50,000 range, enough to heat all or most of a small or medium house in most climates. “Don’t plan to run the stove all the time at its highest setting,” warns Scott Williamson “or you will be calling someone like me to fix it quicker than you think.” When we tested six popular pellet stove models, we calculated an output of no more than 21,000 BTUs, far below what the EPA listed and even farther below what manufacturers claimed. 2. 2. Beware of cheaper stoves. There are some good budget wood stoves on the market, but with pellet stoves, you are more likely to get what you pay for than with wood stoves. “If you want a reliable stove that puts out a lot of heat, we urge customers to ignore pellet stoves under $2,500,” says Glenn Robinson. Scott Williamson generally agrees but has seen some basic stoves like the Pel Pro and Englander hold up pretty well. 3. 3. Check for range of heat output. Most stoves can put out about 3.5 times more heat at their highest setting, compared to their lowest. Some stoves have a tiny range, putting out only 1.5 times more heat at their highest setting. If you live in a more moderate climate, in the early fall and late spring, you may want just a little heat, and still have the capacity for much greater heat output on the coldest days and nights of winter. All other things being equal in a stove, you may want a stove with a larger range of heat output and you can check the range of all stoves on the EPA list of certified stoves. In our tests, we found that the Enviro M55 insert ran continuously for an impressive 49 hours on its lowest setting with a tested hopper size of 60 pounds and it ran for 22 hours on its higher setting. 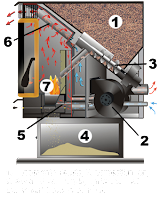 However, with a 37-pound hopper, the Englander 25 PDVC only rain for 15 hours on its lower setting and 13 hours on its highest setting, indicating a very low turn down ratio. 4. 4. Understand maintenance requirements. If you don’t clean your stove regularly and have it professionally serviced once a year, don’t expect high BTU output. Most consumers get subpar performance from stoves and have to repair them more often because they are not maintaining their stoves according to the owner’s manual. 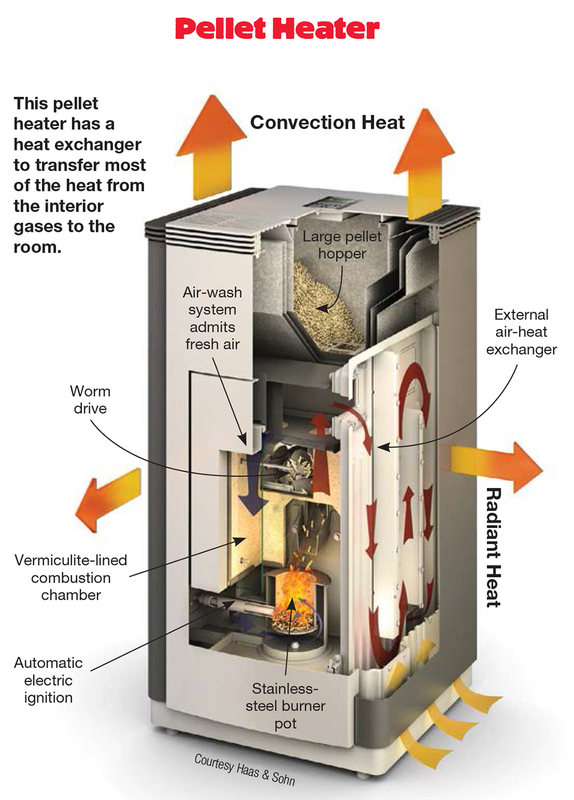 Pellet stoves are not like wood stoves: they have lots of moving parts and need cleaning of the burn pot and inside the stove on weekly, and depending on the stove, a daily basis. 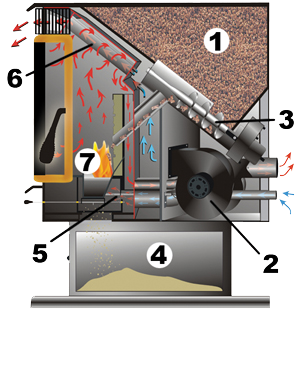 Pellet stoves that are not cleaned regularly can lose 10% or more of their efficiency – and their heat output, and lead to costlier repairs. Understand the daily, weekly and annual maintenance requirements from the start and don’t put them off. When we tested six popular pellet stoves, we found that the three more expensive ones (Harman, Quadra-Fire and Enviro) could go for a week or more without cleaning the burn pot. However, the Englander, Ravelli and Piazzetta needed daily burn pot cleanings. 5. 5. Look for cleaner pellet stoves and ones that are 2020 certified. Those models certified to 2020 standards are more likely not to be discontinued after 2020. Pellet stoves are far cleaner than wood stoves, even if they both have the same particulate matter in grams per hour. Particulate matter is the tiny stuff that smoke is made out of and pellet stoves should not have any visible smoke after the 3-minute start up. The average pellet stove used to put out about 2 grams of particulate per hour. But since the new EPA regulations took effect in 2015, the average pellet stove emits less than 1.3 grams per hour. This makes pellet stoves more suitable in more densely populated suburban and even urban areas. Choosing a cleaner pellet stove means a cleaner flue pipe and cleaner air around your and your neighbors’ homes. 6. 6. Beware of stoves without an efficiency on the EPA list. As with BTUs, manufacturers routinely exaggerate the efficiency of their stoves on their websites, so if efficiency and saving money is important to you, check the EPA list of stoves for efficiency ratings. The problem is some companies still haven’t reported their efficiency to the EPA, so you may only want to purchase a stove that has an efficiency listing on the EPA list. 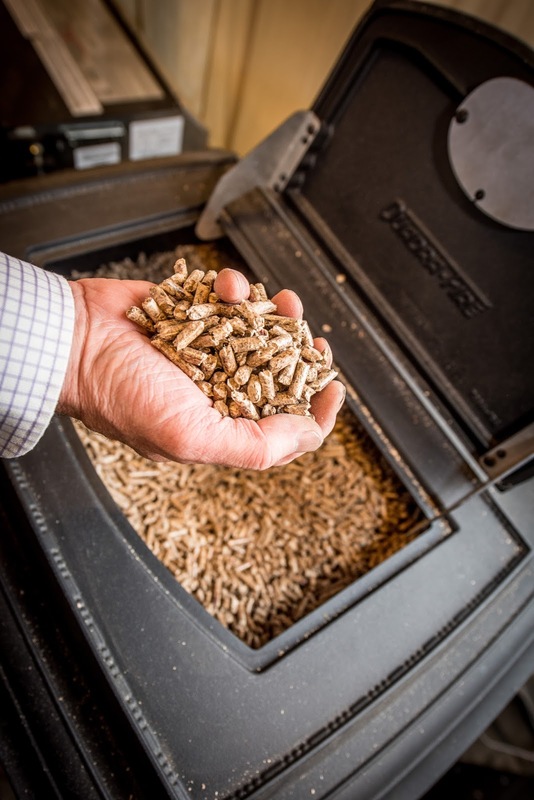 Pellet stoves with listed efficiencies range from 58 to 87% efficiency, but those not listed could be even lower, drastically increasing your heating costs. Appreciating these six factors are likely to help you make a better decision, but we also encourage consumers to rely on feedback from friends, neighbors and others who own pellet stoves. One site that can be helpful for research is hearth.com. A final note of caution is to take advertised hopper size with a grain of salt. Most manufacturers also exaggerate hopper size. Of the six models we tested, Harman and Ravelli exaggerated their hopper size by 15 – 18%, while Enviro didn’t exaggerate at all. Choosing a stove with an advertised hopper size of 50 – 60 pounds can be a good idea, as it means the hopper will likely hold 45 – 55 pounds and you can empty an entire 40 pound bag in it when its low.